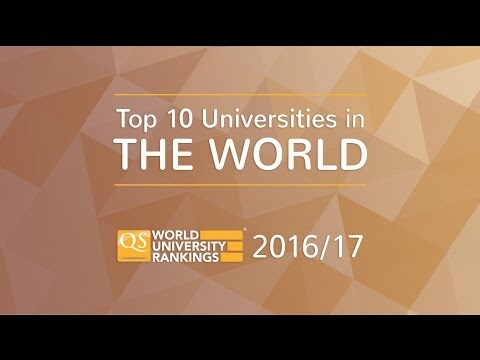 **This article is based on the QS World University Rankings® 2016/17 results. Click here to find out the top universities in Germany in 2018. The launch of the QS World University Rankings® 2016-2017 sees 43 German universities rank among the world’s best, including 15 entries in the global top 250. One of the world’s most popular study destinations (increasingly so! ), Germany offers high class education at low costs. While the two top universities in Germany are both located in the Bavarian city of München (Munich), capital city Berlin also holds its own as an education hub. Read on to discover the top universities in Germany this year, starting with a look at the top 10. Retaining its position of 60th in the world and 1st among German universities for the second time in a row, Technische Universität München is a member of TU9, an association of the nine oldest, largest, and most prestigious technical universities in Germany. Fellow Munich-based institution Ludwig-Maximilians-Universität München climbs from 75th to joint 68th place this year to now rank second in Germany, and is one of the country’s oldest and largest institutions. 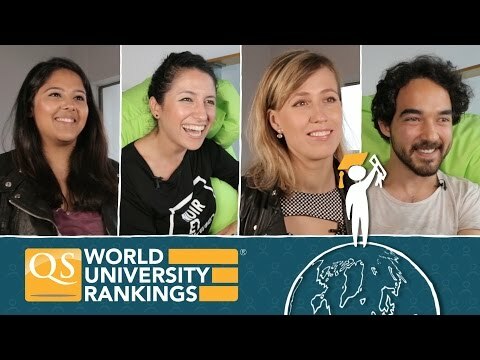 Previously ranked 1st among German universities in 2014, Ruprecht-Karls-Universität Heidelberg is now ranked 72nd in the world and 3rd in Germany. The oldest university in the country, founded in 1386, it’s based in the south-west city of Heidelberg. Retaining 4th place amongst the top universities in Germany this year, the Karlsruher Institut für Technologie, usually shortened to KIT, is now ranked joint 98th in the world and is known for its high quality of international research work. The highest-ranked university in Berlin this year is Humboldt-Universität zu Berlin, up five places in the world ranking to place joint 121st. The university is particularly well-respected for its education in the arts and humanities. Staying in Berlin, Freie Universität Berlin ranks joint 123rd in the world this year, and is internationally known for its research in the humanities, social sciences, and natural/life sciences. Rheinisch-Westfälische Technische Hochschule Aachen is a technology-focused university which ranks 146th in the world this year. It maintains close links to industry and is the largest technical university in Germany, with around 43,700 students. Ranked 163rd this year, Universität Freiburg was founded in 1457 and has a long tradition of education in the humanities, social sciences and natural sciences. New to the German top 10 this year, Technische Universität Berlin climbs from 178th to joint 164th in the world this year, and is a TU9 member which is considered particularly strong for its engineering programs. Eberhard Karls Universität Tübingen also climbed in the rankings this year – from joint 173rd to 167th. The university is noted for its medicine, natural sciences and humanities degrees. 11. Georg-August-Universität Göttingen – ranked joint 177th in the world. 12. Technische Universität Dresden – ranked joint 210th in the world, up from 227th last year. 13. Rheinische Friedrich-Wilhelms-Universität Bonn – ranked 231st in the world. 14. Universität Hamburg – ranked 232nd in the world. 15. Technische Universität Darmstadt – ranked joint 247th in the world. 16. Universität Stuttgart– ranked 263rd in the world. 17. Universität Frankfurt am Main – ranked joint 264th in the world. 18. Universität Erlangen-Nürnberg – ranked joint 272nd in the world, up 20 places from last year. 19. Westfälische Wilhelms-Universität Münster – ranked joint 294th in the world. =20. Universität Köln – ranked joint 347th in the world. =20. Universität Ulm – ranked joint 347th in the world. After the top 400 universities, the QS World University Rankings groups universities in ranges, from 401-410, up to 701+. Click here for more information. 22. Universität Konstanz – ranked joint 352nd in the world. 23. Universität Jena – ranked joint 363rd in the world. 24. Leibniz Universität Hannover – ranked joint 400th in the world. 25. Johannes Gutenberg Universität Mainz – ranked 401-410 in the world. 26. Universität Mannheim – ranked 411-420 in the world. =27. Julius-Maximilians-Universität Würzburg – ranked 421-430 in the world. =27. Christian-Albrechts-Universität zu Kiel – ranked 421-430 in the world. 29. Universität Bremen – ranked 441-450 in the world. 30. Ruhr-Universität Bochum – ranked 451-460 in the world. 31. Technische Universität Braunschweig – ranked 471-480 in the world. =32. Universität Leipzig – ranked 501-550 in the world. =32. Martin-Luther-Universität Halle-Wittenberg – ranked 501-550 in the world. =32. Universität Bayreuth – ranked 501-550 in the world. =32. Universität des Saarlandes – ranked 501-550 in the world. =32. Universität Regensburg – ranked 501-550 in the world. =37. Philipps-Universität Marburg – ranked 551-600 in the world. =37. Technische Universität Dortmund – ranked 551-600 in the world. =39. Universität Bielefeld – ranked 601-650 in the world. =39. Universität Duisburg-Essen – ranked 601-650 in the world. =39. Universität Düsseldorf – ranked 601-650 in the world. =42. Justus-liebig-Universität Gießen – ranked 651-700 in the world. =42. Universität Rostock – ranked 651-700 in the world. Find out more about studying in Germany with our complete guide. Looking for masters in Electrical engg, but really I am relying on bank loan. I would like to know what are the universities where still tuition fees ins zero. I heard that in recent times in most of the universities they have introduce tuition fee. Could you help me to sort out some of the universities. check this website, there are 1000 above courses and mostly of them are with no tuition fees.